Published: Nov. 4, 2018 at 05:52 p.m.
New Orleans Saints tight end Benjamin Watson makes a move and gets wide open for a 13-yard touchdown catch from quarterback Drew Brees against the Los Angeles Rams. Published: Oct. 21, 2018 at 05:30 p.m.
New Orleans Saints quarterback Drew Brees joins the 500 touchdown club on an 1-yard touchdown pass to tight end Benjamin Watson. 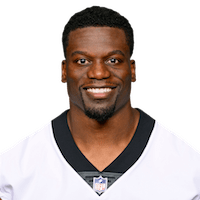 Published: Jan. 3, 2016 at 04:41 p.m.
New Orleans Saints quarterback Drew Brees connects with Benjamin Watson for a 13-yard touchdown. Published: Dec. 21, 2015 at 11:41 p.m.